It’s easy to forget how paramount exercising student fine motor skills is, as well as continuing to strengthen those skills throughout the school year. 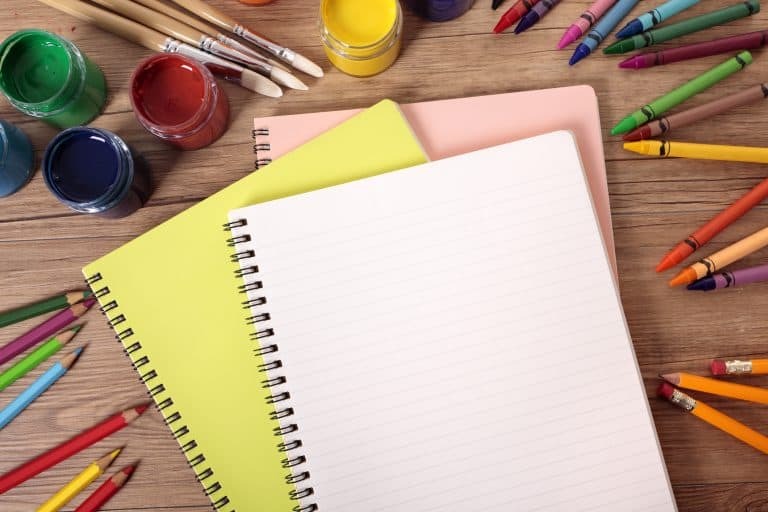 Fine motor skills develop the muscles in the hands and forearm that allow children to handle tools such as cups, scissors, and writing utensils. Excellent fine motor skills also further develops hand-eye coordination, which then improves handwriting. 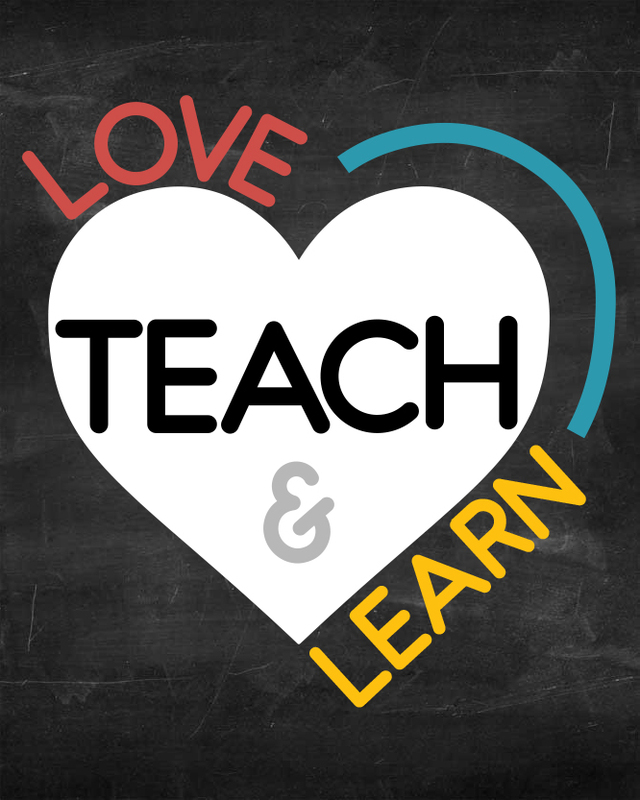 It is a great idea to allow younger grade levels focused opportunities to exercise this crucial development during the year. To ensure that kids continue to master those fine motor skills, try a holiday craft that’ll shake up the typical class routine and add some fun. Holidays are the best time to focus on those additional skills that might get overlooked in the midst of all the required state standards. What better way to break from the usual schedule than to have a productive holiday activity? 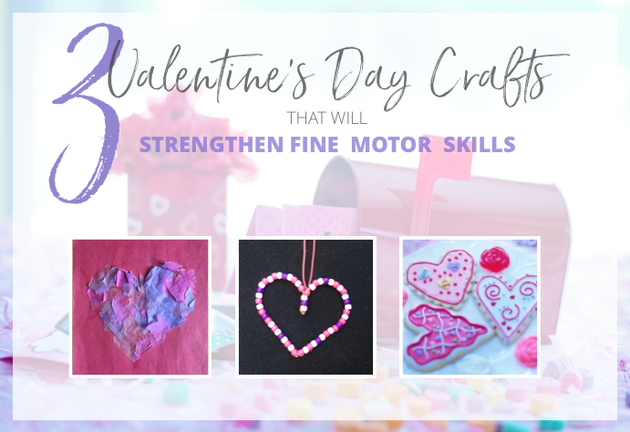 The three Valentine’s Day crafts that your kids will fall in love with will have them working those fine motor muscles without them even noticing. They’ll be cutting, tearing, beading, and/or decorating their little fingers to the bones without breaking a sweat. 2. 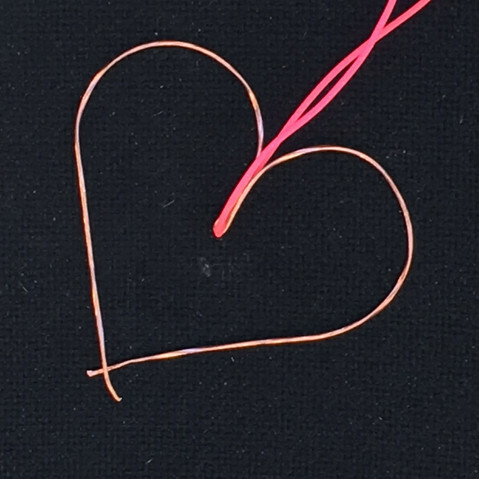 Fold wire in half with a piece of gel string or ribbon in the center. Squeeze a half inch fold at the center together with the pliers. Make sure that the fold is flat. 3. Use the pliers to keep the wire flat while you wrap the wire around a small jar or other round object (I used a baby food jar). Keeping the wire flat will ensure that the center fold does not twist while you wrap. This is the top of your heart. For a taller heart you can keep the remaining end of the wire straight like so that each side looks like a candy cane. For a more rounded heart push a little on the each end while it is still wrapped around the jar. 1. 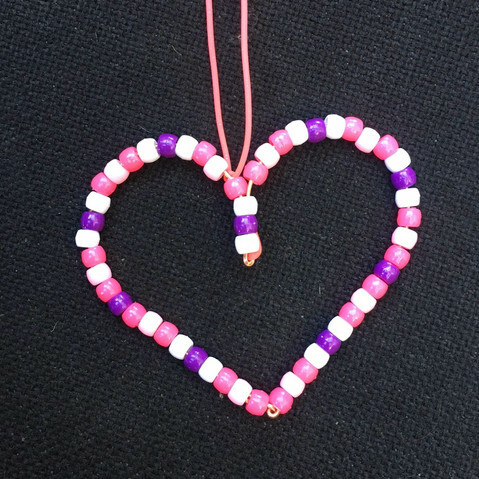 Once the kids have finished beading the hearts, use the pliers to curl one end backward on the outside of the heart. 2. Create a loop that is barely closed at the end. Then, pull the other end of the heart through that loop and tightly pinch the end flat. Pinch and tighten the other side. 1. 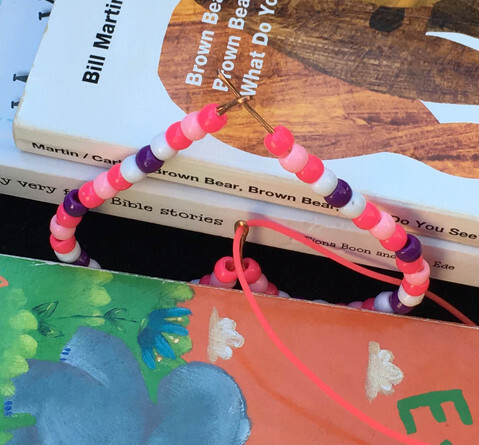 Use books to prop the hearts upside down. 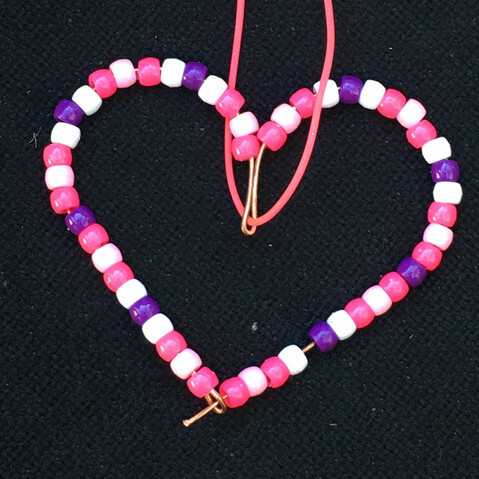 String beads on a wire and try to create a pattern. Keep the heart upside down while finishing, leaving a little on the ends. 2. Now, it’s time for you to pinch the ends! 3. string a couple of beads through the gel string or ribbon. 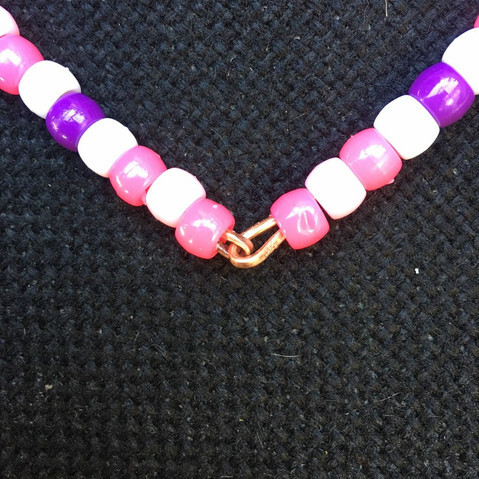 Tuck the string under a few beads above the beads that were just added and tie the ends. The string can be cut off or used to hang the heart on the wall. The night before, whisk confectioners’ sugar and meringue powder together. Add 6 tablespoons of water and beat mixture on medium-high until glossy and soft peaks form. Store in airtight container. Thicken half the royal icing with 1 tablespoon of confectioners’ sugar at a time until it reaches the consistency of toothpaste. Dilute the other half with water until it’s the consistency of pudding. Have a station with a few sandwich bags that are filled with the thicker royal icing. Cut the corners of the bag for the icing to pipe through. This is where the students will outline their cookies. Set up another station with a couple of squirt bottles filled with the thinner royal icing mixture. This is where the students will learn how to “flood” the cookie: that is to color in their outline with a thinner royal icing that flows much easier. Have a third station for sprinkles and more thick royal icing in sandwich bags for final decoration. (This is where you might want to add some food coloring to each container. Give each student a cookie and popsicle to decorate with. * 2 cups of royal icing will decorate about 24 cookies. 1. Twist the end of the sandwich bag with your dominant hand. Guide the tip of the bag with your other hand. 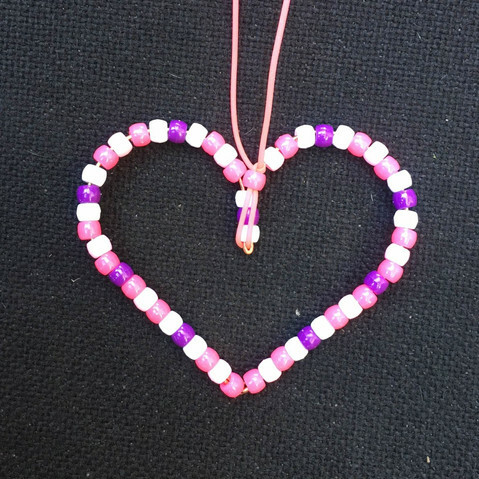 Squeeze the twisted end to outline the heart with a continuous motion to create a clean line. 2. Carefully fill in the outline you’ve created with the icing in the squirt bottle. 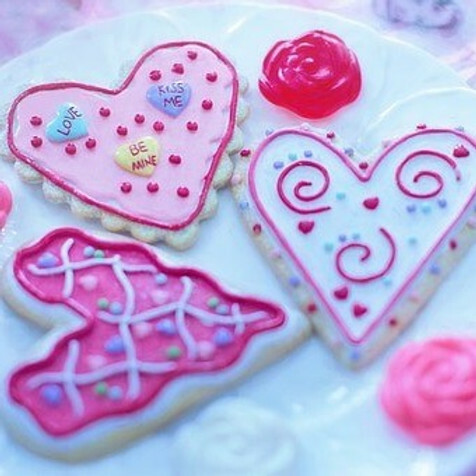 Remember this icing is a lot thinner, so it won’t require the same amount of pressure to ice the cookie. Pour just enough to fill to the rim you just outlined. It’s okay if there are a few gaps. 3. Sparingly use the popsicles to fill in any gaps near the edges of the outline. 4. 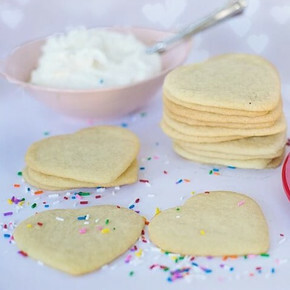 Add some sprinkles to make your cookies stand out, or draw another outline and a few fun patterns. 5. Start another activity while waiting for the icing to dry. 6. Come back and enjoy! 1. 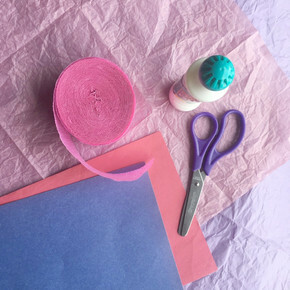 Tear up or use scissors to cut the tissue paper and/or paper streamers. 2. 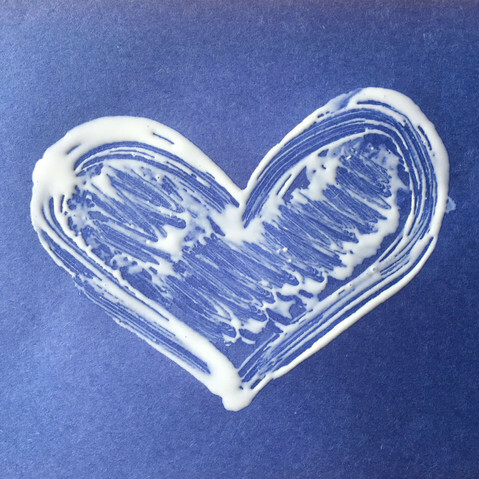 Glue a heart on the card stock. 3.. Place tissue paper on the glue, aligning the edges of the paper with the edges of the glued heart. 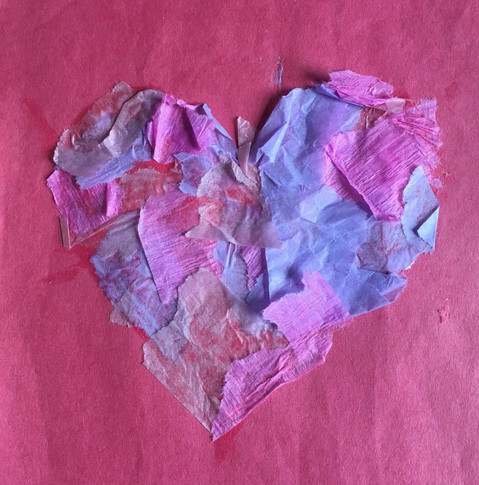 Folding and rounding the corners of the tissue paper can help it into a heart. Tissue paper can be laid flat or crumbled into little balls for additional texture. 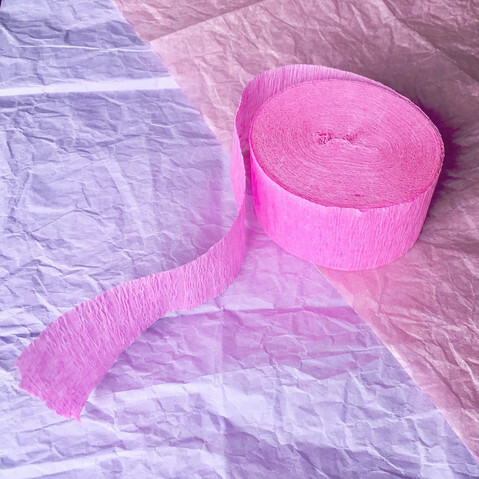 * I found that paper streamers were an awesome alternative to tissue paper sheets. They lasted a lot longer and they were much more budget-friendly. Also, the kids seemed to enjoy the idea of cutting up party streamers a whole lot more and they liked the added texture of the streamers. Are there any more activities you can think of that develop this wonderful skill? Can you contribute to today’s post. What are some ways that your kids strengthen their hand and forearm muscles? 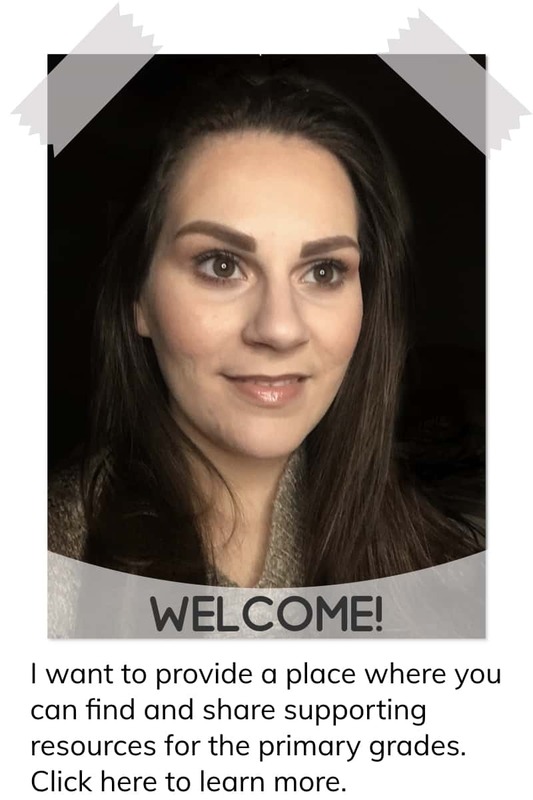 Share your stories and ideas in the comments below.